Is it a matter of self esteem? self assurance? conditioning? socialization? In my last post I touched on "you are more than". If you missed that you can read it here. 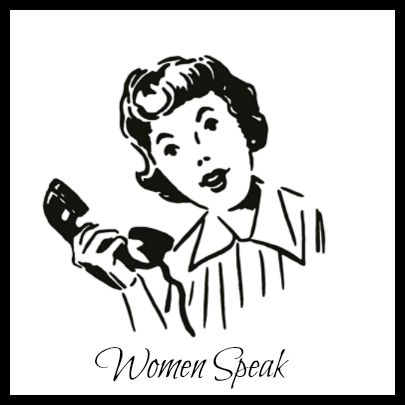 When I thought about this week's topic for Women Speak, I wasn't quite sure how I wanted to approach it. As a counselor and as a woman I have talked to so many women who feel they are not brave enough, strong enough, or smart enough. That they don't quite measure up. That has always made me wonder what measuring stick they are using and where are they getting those messages from. Personally I know that those kinds of messages have held me back many times. Maybe that person succeeded because they are smarter than me. Maybe I am not brave enough to strike out on a new path. Maybe I am not strong enough to accept failure if it happens. I do know that a certain amount of this comes from the way women have historically been socialized in our society. Traditionally we were taught to take more submissive roles even though we often have had to support ourselves and our families, and therefore needed to practice bravery, to show how smart we are, and to be strong. These are skills that I am constantly honing. When I find myself backsliding I have to remind myself that I am braver, stronger, and smarter than I think. That it is okay if I fail, because that is how we all learn. This week I would love to hear how you feel. Do you ever feel that you are not brave enough, smart enough, or strong enough. If so where do you think these messages are coming from and who are you comparing yourself to? The weather is turning cooler. Put on some warm slippers, grab a hot cup of tea or coffee, and let's chat. I doubt if there's not a woman who hasn't felt that way or is feeling that way. We get so much pressure from all sides. First we're to be one way, then we're told to be another. We have to play one role as a wife and another as head of family. I hope young girls today get it straight. I think often we are thrown into situations in life thinking it is either "sink or swim" and we must learn to swim fast. We are often thrown into situations of sink or swim and I believe that is when we need to pull on our own resources of knowing that we are braver, stronger, and smarter than we may think we are. Thank you for your wonderful input, Catherine. Catherine said it very well. It takes patience to just float for a bit to gather our thoughts. To remember we have passed many of life's challenges and when met with a new situation we can handle that one too. Yes, friends help reinforce us; but hopefully real courage is in all of us. I was blessed to be raised in a Christian home where I was loved unconditionally, was told that God loved me unconditionally, and was told I could do almost anything I chose to do with God's help. I grew up being reinforced with these positive "tapes" in my head and believed them. Our thoughts create our lives. Some of our old thoughts ( those old tapes in our head ) we are not even aware of, yet they "direct" our lives. We have to try to figure out what our old tapes are saying and then replace them with new, positive ones. It works! !